Old miniature hybrid. 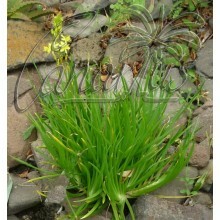 Exceptional white fibres coil and twist on the margins of the stiff, glossy leaves. 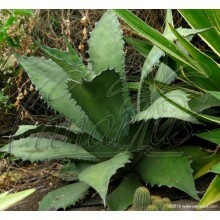 It is a cross of two subspecies of Agave filifera. Old miniature hybrid. Exceptional white fibres coil and twist on the margins of the stiff, glossy leaves. 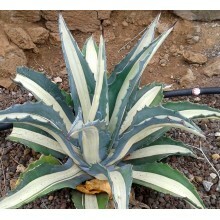 It is a cross of Agave filifera ssp. 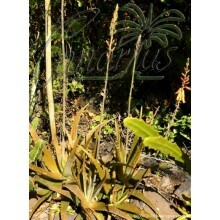 filifera × Agave filifera ssp. schidigera. 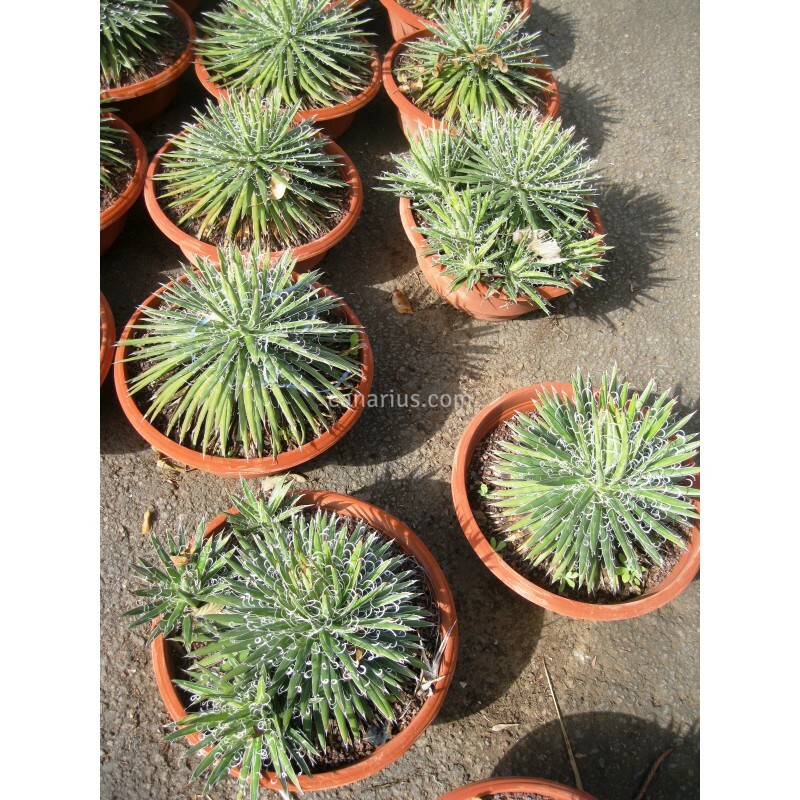 It grows to 25-30 cm in diameter but can be kept as a smaller miniature for years in a small pot. Frost hardy to about -6 C.
We offer a bare-rooted plant of about 30-40 cm in diameter, grown in a 20 cm pot. 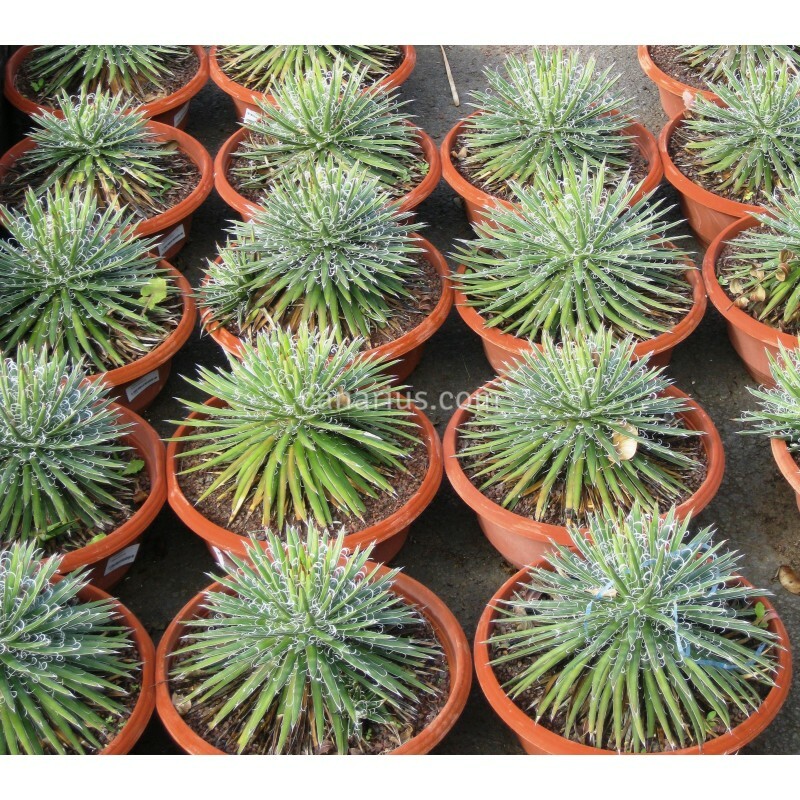 Container size will just give you an idea of the size of the plant, because succulent plants are sent with bare roots, as they are very tolerant of bare-rooting. We ship worldwide.